Home Diversen Filosofie / Sociologie / Maatschappelijk Born That Way? Born That Way? 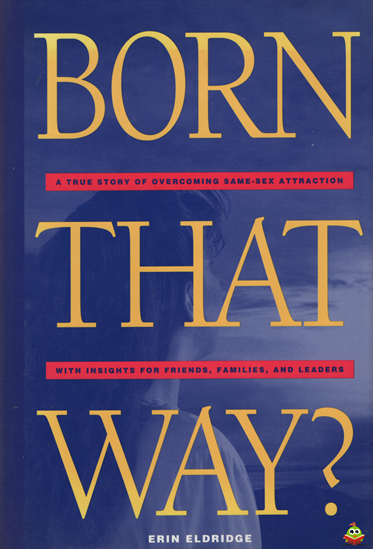 is a must read for everyone in the Church who is struggling with feelings of homosexuality their own or another's. Fellow sufferers, parents, youth leaders, priesthood and Relief Society leaders, here at last is a personal account of that difficult struggle that is as real and down-to-earth as it gets. There is no glossing over the painful realities. There is no compromise with the need to accept and, ultimately, embrace the eternal principles of the gospel. 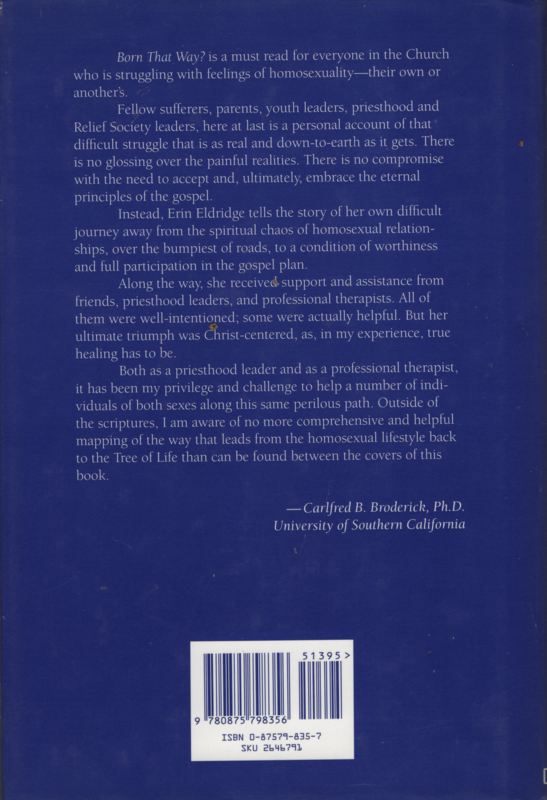 Instead, Erin Eldridge tells the story of her own difficult journey away from the spiritual chaos of homosexual relation-ships, over the bumpiest of roads, to a condition of worthiness and full participation in the gospel plan. Along the way, she received, support and assistance from friends, priesthood leaders, and professional therapists. All of them were well-intentioned; some were actually helpful. But her ultimate triumph was Christ-centered, as, in my experience, true healing has to be. Both as a priesthood leader and as a professional therapist, it has been my privilege and challenge to help a number of indi-viduals of both sexes along this same perilous path. Outside of the scriptures, I am aware of no more comprehensive and helpful mapping of the way that leads from the homosexual lifestyle back to the Tree of Life than can be found between the covers of this book.